Chelsea owner Roman Abramovich, who rarely ever speaks publicly or to the press, has broken his silence to thank Chelsea fans for a decade of support under his rule. The Russian billionaire, who took over in July 2003, wrote a message in the matchday programme for the home game against Hull. Since Abramovich arrived, the club have enjoyed triumphs that they had never known before. As well as three Premier League titles, Chelsea have won the Champions League, Europa League, four FA Cups and two League Cups. In that time he has spent £713m on 72 players. This shows how enthusiastic and ambitious Roman Abramovic is towards Chelsea and he is willing to see out another decade of Roman Empire at Stamford Bridge as Chelsea begin a new phase of developing and building the next super team under the stewardship of Jose Mourinho. Let’s expect more success and more glorious years with Jose Mourinho and Roman Abramovic reunited and happy to work together again! Thanks for reading and sound of below for your opinion on Abramovic’s words on the match day programme for CFC fans! KTBFFH!!! We should be the ones thanking Abramovich for all he has done for the club.He is a great patron and we love him massively as much as jose.Two greats together again. 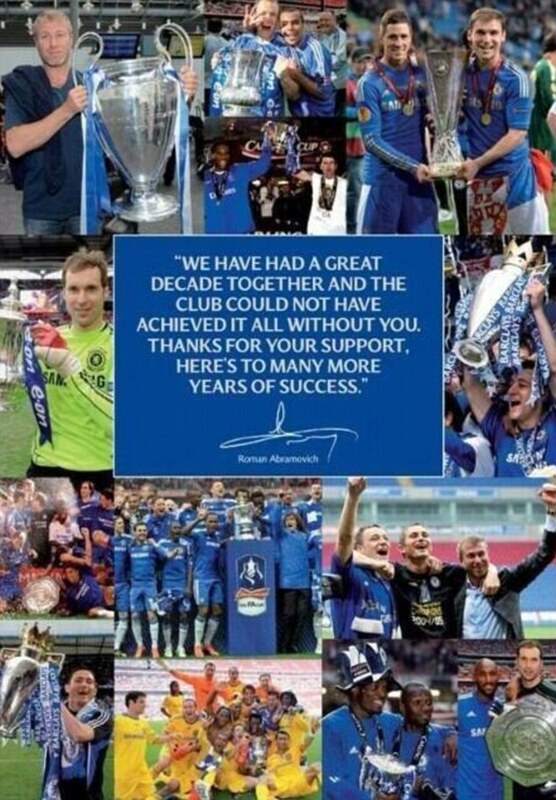 There can only be one Roman and that is Roman Abramovich!.thank you Sir. I need to start my career Can you find me an internship in Building Technologies?